Have you ever wanted to be on a rescue team or needed to be rescued? 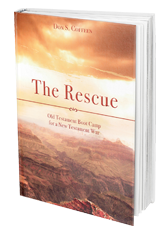 “The Rescue” will transport you back in time so you can discover for yourself what the heroes from the Bible were thinking and feeling during their battles and their victories. These are very serious times we live in, and yet, many Christians treat their Christian walk with very little respect and reverence for God. The devil has stepped up his attacks on us and we are ill prepared to face him. Do you really think you are prepared for this level of spiritual warfare by simply tithing few extra dollars at church or by praying over your food? I hate spam as much as you do. Your email address will NEVER be given away to any third parties. ©2019 Amb Ministries Blog. All Rights Reserved.